IN his continuing search for the more weird, wacky and wondrous in the world of travel, David Ellis says the Chinese have knocked the French off their perch as the world's Number 1 consumers of red wine. And according to those in the know, the Chinese appreciation of red wine didn't necessarily have anything to do with it being a nice drop to go with their cuisine: rather, the Chinese believe that red is one of the luckiest colours in the spectrum, and that red wine therefore aids their health – whereas white (embracing still white wines and bubblies) is one of the least lucky colours. 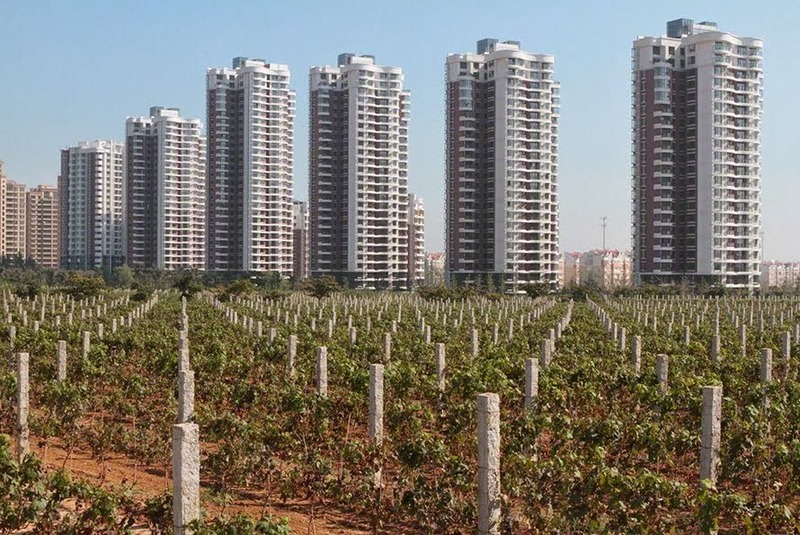 VINEYARDS grow up to cities' high-rise doorsteps in parts of China.